He mentioned that right now in MLSP, you’re probably encountering adversity, delays, setbacks, etc. Yet this doesn’t indicate that you need to move on and try something new. Despite what most people think, adversity is an indicator that you’re moving in the right direction. Because let’s face it, if everything was easy and smooth sailing… it would be a clear indicator that you’re not taking enough action. Gelok made it clear from the start that anyone who has built something great has overcome obstacles, adversity, and defeats. Delay is not defeat. Setbacks and those things are part of the process, and you have to trust the process. You’ll Want to Move On When Things Get Difficult, But That’s a HUGE Mistake! You can look elsewhere or give up when things get difficult. Think the grass will be greener on the other side? But once you loop back around… you loop right back around to that same place you’re struggling in now. Those same frustrations will reappear. You need to push through frustration and uncomfortableness and think of them as tools. When you’re forging a sword out of a slab of metal, refining your process, pounding on that metal is equivalent to taking out those frustrations. Heating the sword in a blazing fire pushes all the impurities in the metal to rise to the surface. The Blacksmith can then scoop them off. It’s the same with YOUR business. You can work out those impurities in the process. When the Blacksmith is done, he has a beautiful sword that can be used as a mighty weapon. When you have worked out the impurities and pushed through adversity and frustration, now things become infinitely easier. On day one…you and your business a just a big slab of raw unrefined metal. If you mold, refine, and hammer through the adversity, setbacks, and frustration, you have every capacity to become a mighty sword that can move forward and advance. Ron went on to explain that when you’re going through adversity, you’re finding out what you’re made of. What’s inside of you? How much heart do you have? He makes the point that adversity is a good thing, because it brings the impurities that you need to get rid of to the surface . The moment that you start owning your successes AND your failures puts YOU in a position of POWER. What matters is that you have the strength to own both and move past them moving forward. 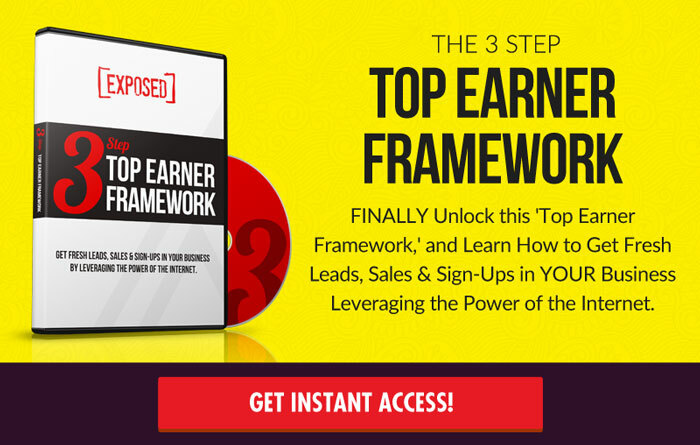 As you do this, you’re going to jump from level to level in your biz! Sure it’s motivating, but that’s not truly the best mindset. The second step is when you start realizing you need to produce value. And then you get to that deeply inspiring place on the the third level. That’s when you realize you want and need to help people. You start to focus on helping people and giving them value they need. The fourth step is having a desire to leave an impact. As you’re moving between steps in this entrepreneurial journey, in each step or level, you start encountering different obstacles and levels of adversity. The toughest step will always be level one. 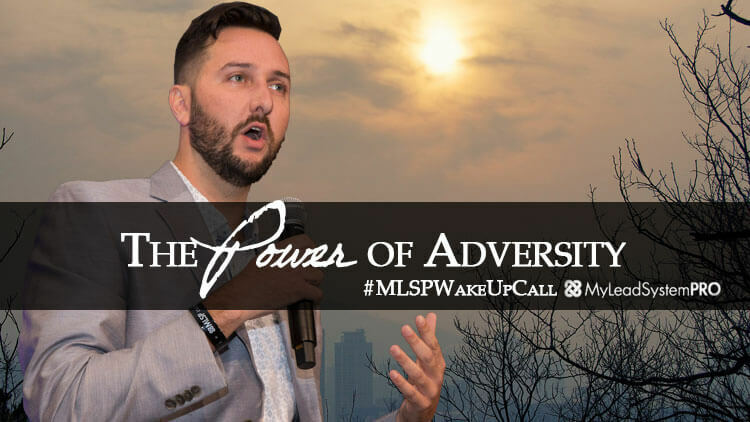 When you’re in a place of thinking, “I need to make money,” and that’s all you’re focused on, your marketing…that’s all that your subconscious can hear! It’s screaming in your subconscious’ ear! Prospects can smell that desperation a mile away! When you’re trying to recruit, people can sense that attitude. They can feel it in your copy, and in your emails. It always comes through in everything you do. People simply want solutions to the problems they’re having. Click To Tweet Therefore you’ll encounter MUCH more adversity and obstacles when you’re thinking isn’t correct. When your mind is constantly on what’s in it for you. You have to choose to get back up again and hang on a little longer and push through. Because each time you do, You Grow Stronger.